If you didn’t already know, my husband is very good at planning vacations. He plans 99% of our trips, usually with Plan A, Plan B, and Plan C options throughout to insure they run smoothly even when they, you know, don’t run smoothly. In addition, when he does his research and planning he demonstrates incredible skill in his ability to create a trip that includes something fun and special for everyone. For me, this usually involves some sort of unique fiber arts experience and our trip to Yellowstone was no different. 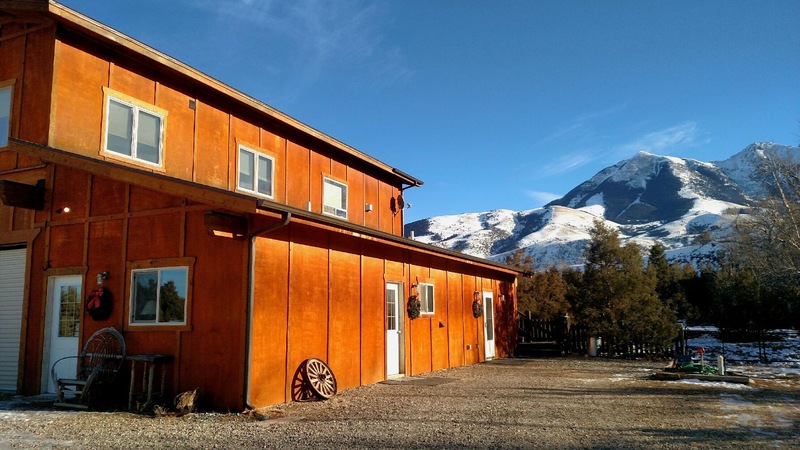 Just about 40 miles north of our hotel in Gardiner, Montana, set back off the winding roads of Paradise Valley lies Wolf Ridge Lamb & Wool Co., which specializes in Icelandic sheep. 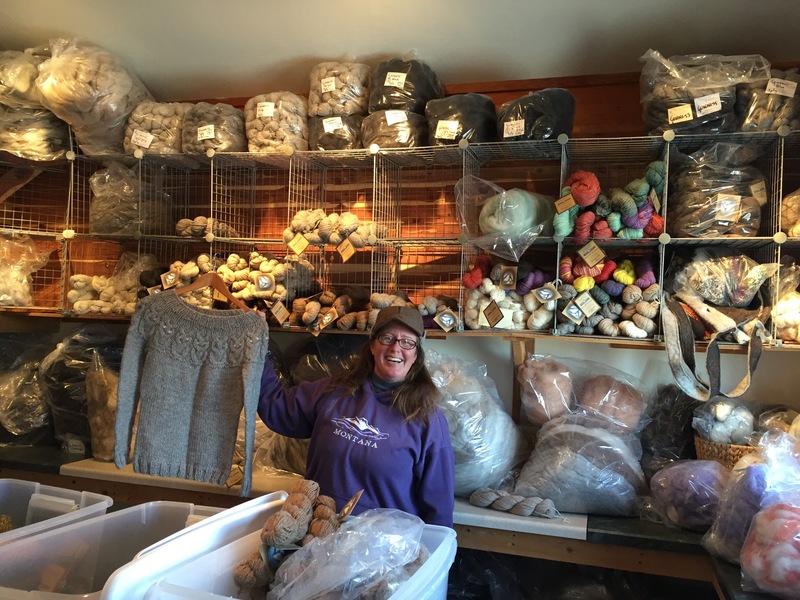 My husband contacted the ranch before our trip about visiting the yarn room and he received a very kind note telling us to just call when we were in the area and we’d set up an appointment. I’m always a little nervous on these fibery adventures because you really never know what you’re going to find. I had an idea of what they had to offer based on their website so I was hopeful, but nothing could have prepared me for this. This picturesque little haven nestled in the mountains. And the yarn room? I can only say, “WOW!” The yarns were beautiful, the fiber was absolutely lovely, and Barb — that’s her in the photo — could not have been any nicer. To say I was a kid in a candy store would be the understatement of the century. I picked up a sweater quantity of Paradise Aran in the softest light brown color with the hopes that it’ll maybe turn into Andrea Mowry’s new White Pine sweater, but I’m flexible on what it becomes. It’s just gorgeous and will undoubtedly make lovely sweater someday. 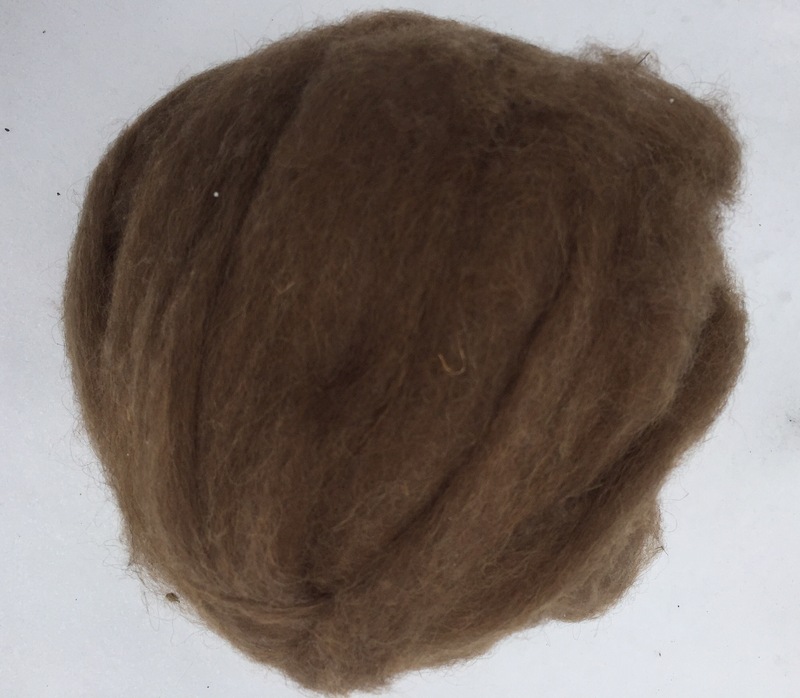 In addition, I grabbed an 8oz bag of roving to spin. It’s lamb’s wool & is incredibly soft. 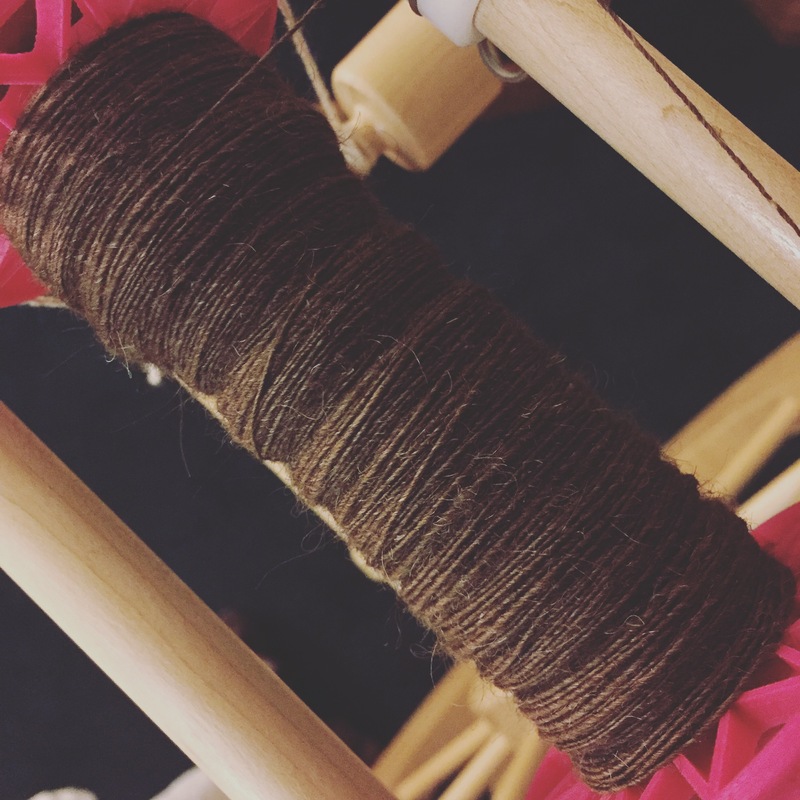 And that very night I started spinning (that was part of my husband’s plan, too). It’s a sumptuous rich chocolate color. Barb assured me that she was just a phone call or email away if I found myself in need of anything else and you can believe I took some notes for future stash potential. The following morning we awoke early and got into the park before the sun rose with the high hopes of seeing the main attraction for us this trip — wolves. Yes, believe it or not, the fiber & yarn was not the main event for everyone. In any case, the day after visiting Wolf Ridge Icelandics, what did we see? The photo is quite blurry because this time they were very far away and Mr. Knitting Sarah was snapping the photo with his phone through a spotting scope, but we saw them. Once they crossed over the back side of the ridge we knew we’d be back the following day to try to catch a better look. and a river that had 3 or 4 American Dippers, dipping away. Where they grab little bugs to eat. I managed to see 4 “life birds” — Barrow’s Goldeneye, Grey-Crowned Rosy Finches, Lewis’s Woodpecker, and Bohemian Waxwings — but watching the Dippers was definitely a highlight of the trip for me. While I’ve seen them before, I’ve never had the luxury of really watching them for a long time as I was able to here. Where the kids learned that it’s a really strange world out there. And even in the most hostile environments, life finds a way. Tomorrow, I’ll share the results of the next day’s search for wolves, my thoughts on driving through mountains with a compact front-wheel drive car in the snow, a terrifying traffic jam, a very brave hike, and some more spinning. Absolutely! Barb was awesome and she’s got a wide selection of yarns available. She does do local fiber festivals, too. We emailed ahead and then called on the way in and she happened to be available that day for us to stop. If/when you’re up in the Gardiner/Mammoth area I’d definitely recommend checking it out! One more thing…what a GREAT husband you have!!! Thanks! I agree — he is awesome! I really admire his trip planning skills especially because I’m terrible at it. He does an amazing job at making our vacations special and memorable for everyone. Just the fact that he managed to take two kids on a 3000mile road trip and have everyone happy pretty much the entire time astounds me! Love love love this! 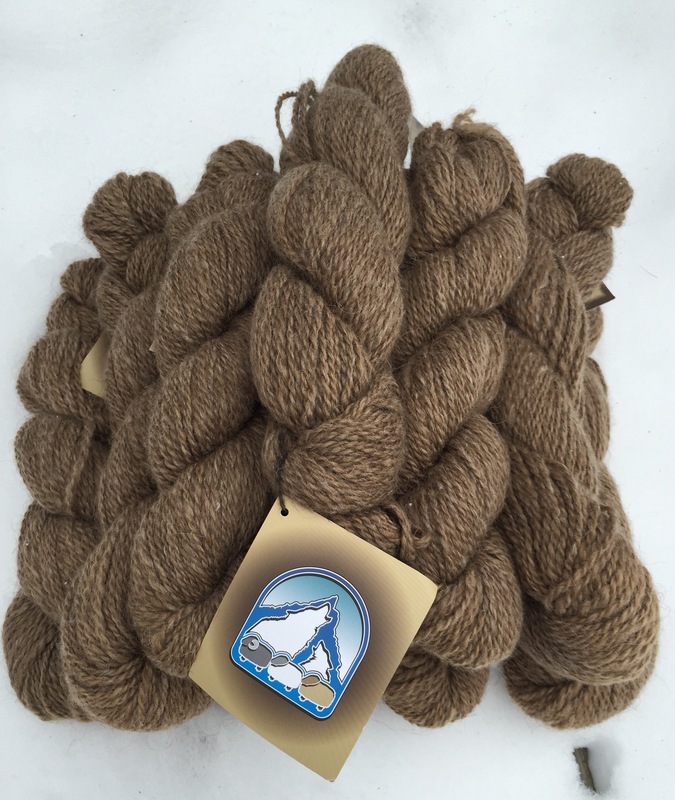 Yay for Wolf Ridge Lamb and Wool Co; that roving looks luscious! And the animal and bird photos are fabulous! Can’t wait for the next installment! It is a strange world – we visited Yellowstone one June several years ago – and stayed in Gardiner as well. I was vaguely uncomfortable the entire time because of the bubbling earth – here in staid ancient New England, the one thing we don’t have to think about is the earth under our feet – it is rock steady. It doesn’t shake, rumble (well not much) or bubble or steam. 🙂 But it was awe-inspiring to be there where it pretty much does all of that. Love the dipping birds – never heard of them, but they are awfully cute! There is definitely something unsettling about Yellowstone. My first visit my friend and I climbed a mountain and I remember looking out and seeing the edges of the caldera and really grasping the scope of it. Beautiful, but definitely foreboding! What a great trip. I am so jealous! wolves! That is amazing! It must have been an incredible experience. Your husband can plan our vacations any time! 😉 Wow, he is talented and so thoughtful. I’m absolutely jealous-ha! So glad you found your target mammal! I’ve seen wolves on the Gunflint Trail in northern MN and also in Canada while canoeing in Quetico, but all those experiences took place when I was in MS/HS…I think you’ve inspired me to bug my hubby for a winter Yellowstone trip when Harmon is a bit older. The last three wolves to show up in Iowa (one this year and two last year) were promptly shot by hunters “accidentally”…going to have to get out of dodge if I want to see one, I guess. Glad you experienced such good birding, too! I am so lucky I have him because I’m a *terrible* planner. I can organize our house & a day at home, but this kind of thing is well beyond my skills. I’d only been to Yellowstone in summer previously and this was a very welcome change – fewer people and such a peaceful time. 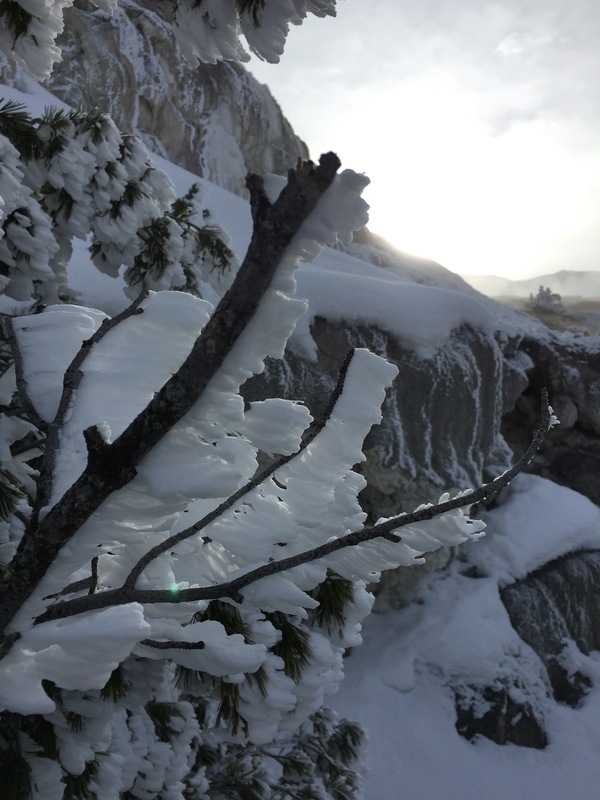 We really lucked out in weather, too, as snow was minimal & temps stayed in the 20s – we left just as a foot of snow and much colder temps were about to hit – phew! It’s a long car ride, especially for the kiddos, but well worth it! I LOVED the last picture of the “hostile environment”. Great framing. So, Mr. Knitting Sarah is just about perfect and takes great pictures too! Mr. kendknitter is the same. Are we blessed or what?! I’ve been to Yellowstone, but not in the winter. How incredible and what great learning experiences for your kiddos. I’m really enjoying this series of posts. Thank you! That photo was actually mine! For vacation posts I often use both of ours and his are usually better, but that one was actually mine — every now and then I snap a winner. 🙂 I’d also been a couple times in the summer and was a little apprehensive about the winter trip, but it worked out great! I’m glad you’re enjoying! Oh, no! Not perfect at all. Lucky and persistent, for sure! Thank you for posting about the mill in Pray. Even though I live in the area (Billings) I never heard of it! My daughter lives in Livingston so we’ll have to stop by and try some of their roving. Absolutely! I’d definitely call ahead for an appointment as it is a working ranch, but Barb was very welcoming for visitors. I know she also does shows in the area — I’m sure she’d be happy to tell you which ones. Thoroughly enjoyed this post! You took me on a mini vacation for a moment and I can’t wait for tomorrow’s adventures.